But you’re worried about how to get around safely? Can't figure out train timetables and worried about driving in Italy? Or maybe you’re concerned because you don’t speak the language -- but you don’t want to let that spoil your dream vacation. Not into just being another face in the crowd? 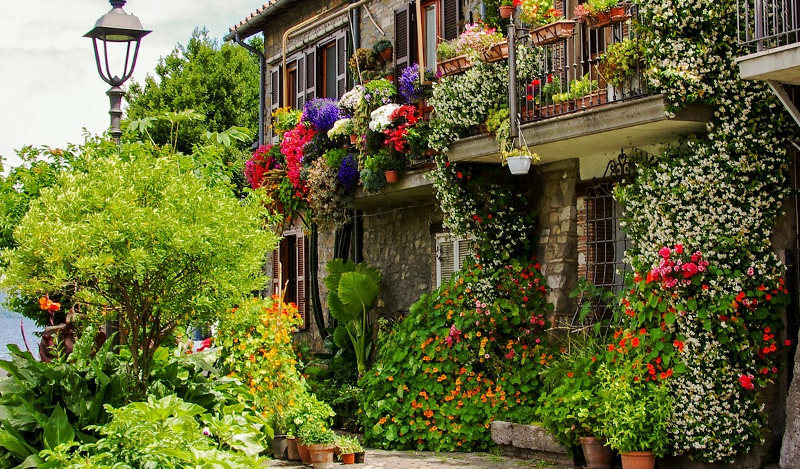 You'd prefer to discover a quieter and more authentic Italy. You've heard the stories and don't want to get ripped off in Venice and Rome? You've seen all the touristy things but now you'd like to explore the real authentic Italy. Perhaps you’ve heard great things about an area but you’re not sure which part would best fit your family’s needs. “Maria and I know Italy like the back of our hand. We should do -- Maria is Italian and I moved to Italy, after we married, twenty years ago! So, even if you've been to Italy before, we've a whole other Italy awaiting you. An Italy known only to Italians... and our subscribers. Find those lovely places no-one else knows about. Share the ideal destinations for romance, visiting with kids etc. Let you in on where the locals eat - even in Venice and Rome - and you won't need to pay a fortune either. Figure out those train timetables, share essential advice on driving in Italy. “How can we possibly offer this amazing level of personal service?" Well, there’s a special place on our websites which is reserved for people like you, who want to experience Italy as we know it. Who aren't satisfied with simply being another tourist passing by but want to feel like a local. Be welcomed like a long lost cousin. Feel a part of the family. A lifetime's access to exclusive content across three websites . Information on little-known corners of Italy, amazing places to eat & to stay. Exclusive membership of the "A Secret Italy" Facebook group. We'll answer your questions on the group too. Special discounts on exclusive tours you won’t find available anywhere else. Excited? Want to get started planning your journey right now? No problem! Nope. It will cost you just $59 for a lifetime’s subscription! No catches. Nothing extra to pay. $59. That’s it. So when you’re ready clicking on the “Subscribe” button will be the beginning of your journey to the real Italy. No more headaches. No more feeling stressed out or overwhelmed with thoughts of the planning needed. Numbers are limited so join while you still can! I understand that you will only use my information to be able to add me to the "Secret Italy" subscribers club. What’s this about a Facebook group? A lot of people these days offer a “special” Facebook group for people who subscribe to their product. What you may not realise is that those “experts are never there! Their group is left to share information amongst themselves. But you see what I mean? Ours is very different to all those others. "I went to Italy for the first time last month. Without your help I would never have discovered those little towns, that beautiful countryside near Venice and near Rome. Thanks to you guys I wasn't a tourist and instead felt like a local. Trains, menus, everything - all a breeze. Thank you."